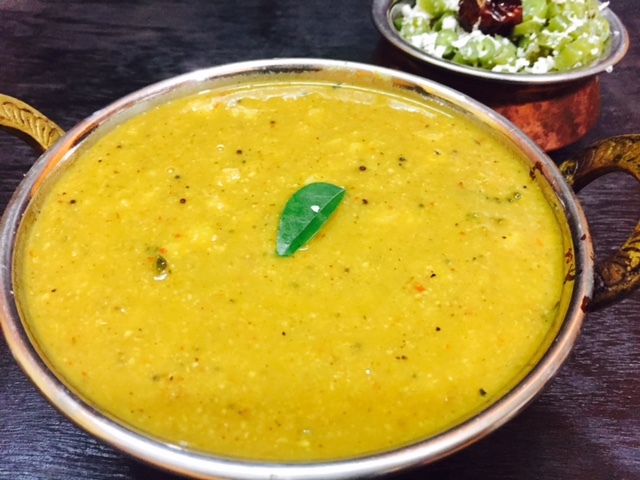 This is another bitter gourd dish that is regularly cooked at home. 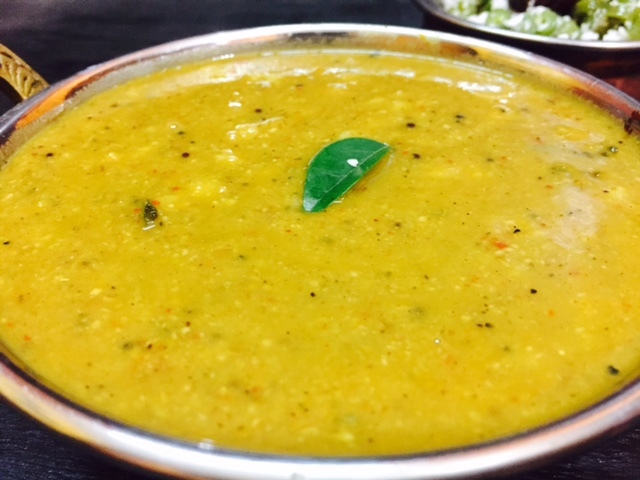 It has the perfect balance of the bitterness of bitter gourd, tanginess from the tamarind, spicy from the spice paste that is used. 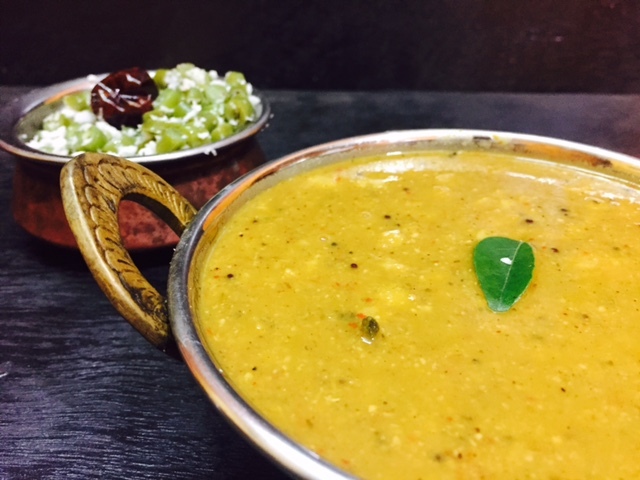 Preparation is just like Araichivitta Sambhar. Soak the tamarind in warm water for 30 minutes. Squeeze well and take out the extract. Keep aside. Heat Oil in a pan and when sufficiently hot, add the mustard seeds. Now add the tamarind extract, salt and some more water and let it boil for 3-4 minutes in medium flame.